Dimensions 1 by 8.25 by 10 in. This is the only introduction to offer balanced, inclusive, integrated treatment of educational research. 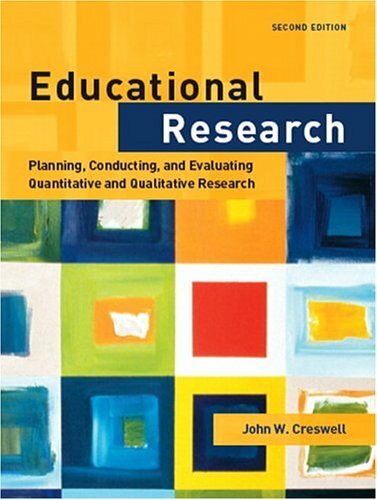 This book comprehensively addresses both quantitative and qualitative approaches, with the goal of starting readers on the path to doing their own research as well as evaluating the research of others. After an overview of the nature of educational research, eight chapters explore specific steps in the research process, from identifying a problem through reporting one's findings. Coverage closes with eight research design chaptersâexperimental, correlational, survey, grounded theory, ethnography, narrative, mixed methods, and action research. For educational psychologists and counselors.